Happy Saturday everyone! Besides the gorgeous weather for spring and summer, it's the two seasons that are easier on the wallet! Fall and winter clothing is always more expensive (boots, coats, sweaters! ), so that's one more bonus point for the warmer months. 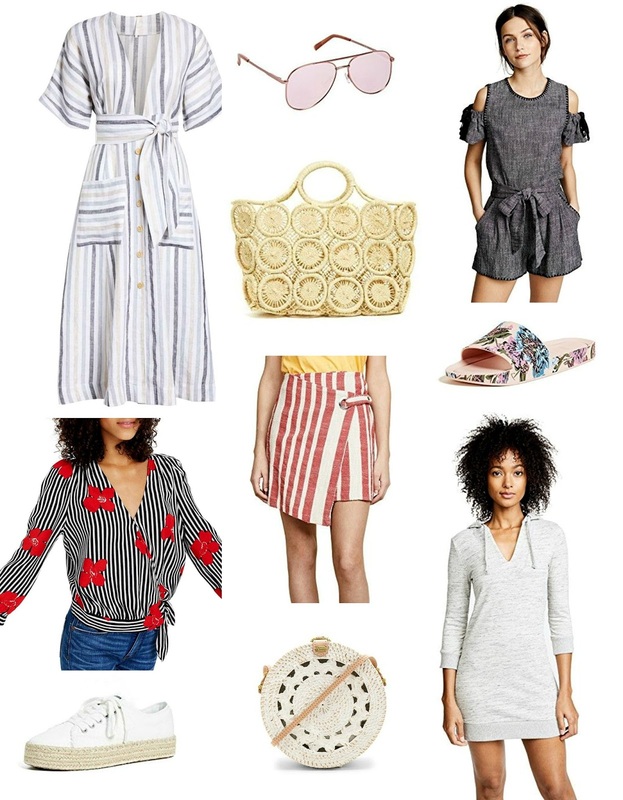 I have been pinning tons of great spring pieces, and realized I should do a round-up of the best ones. Some of the items are just at $100 and others are significantly under, but all are 100% necessary for my closet. Ha! Click on the links above for more details on the pieces I have selected. Which ones are your favorite? Mine is most definitely this top and these shoes! These are some great pieces!